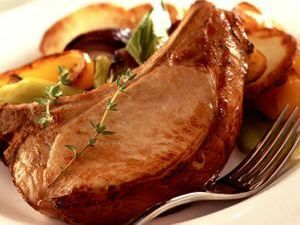 The loin of pork is cut from end to end ensuring that each portion is of even thickness and the rind is trimmed to provide a lean product every time. Superb for evening meals and they also eat well when marinated. No related products for the Pork Loin Chops. No key features selected for the Pork Loin Chops. No quantity discount for the Pork Loin Chops. Be the first to submit a review for the Pork Loin Chops.